One popular advertising option is Facebook’s advertising program. Facebook is currently the world’s largest social media platform, reaching users around the world from across all demographics and age brackets. Facebook currently trends older, so you may even be more likely to find car buyers on Facebook versus other social media networks. Despite recent changes, Facebook is still looking to work with advertisers and publishers in an optimal way. 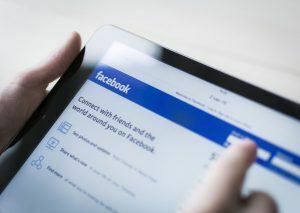 Recently, Facebook has even started catering more to the automotive industry, offering tips, tricks, and advice. You may not be entirely convinced yet. Why should you advertise your dealership inventory on Facebook? It turns out there are several advantages. Perhaps one of the most challenging things for any car dealer is to get the word out about the brand. How do you increase people’s awareness, not just of your dealership itself but of the brand? Facebook can help you reach the people you want to reach. By advertising promotional offers, local events your dealership supports, and even just your dealership itself, you can raise awareness. On Facebook, people can see more about your brand than just an ad. Social media marketing has relatively poor conversion statistics. While many consumers admit they have purchased a product or service after seeing it on social media, click-throughs and website conversion can be harder to achieve from a social media campaign. Facebook advertising is a strong contender on this front. People do tend to click Facebook ads, which increases the ROI of your campaign and your website traffic. It’s also a relatively strong way to create leads, with many becoming conversions. Facebook has been working with some advertisers for some time, and it seems to have a better handle on how to utilize its data to target campaigns. Of course, the car dealership still has to do some work, but using Facebook’s algorithms and targeting options can increase your campaign’s success. Facebook actively encourages both hyper-targeting and the exclusion of certain audiences. For example, you may know that users aged 18 to 22 make up a large percentage of the audience on social media, but these people are less likely to be car buyers. You can exclude them from your audience. You can also exclude certain job titles and employers, meaning you won’t pay for any clicks your employees make. In turn, you can use Facebook’s options to target people in a particular age bracket living in a particular geographic area or even a neighbourhood. In turn, you’re more likely to get your ads in front of the right people. Facebook’s target options also allow you to get relatively local with your ads. These campaigns can be used to drive leads, increase website clicks, or even raise awareness about your dealership and your brand in the local neighbourhood. Facebook’s targeting options allow you to zero in on people who have particular interests or live in-market. In turn, you can be sure to reach the people in your area who are most interested in hearing from your car dealership. It’s an established fact that people “read” images more easily than they read text. Video trumps static images, and projections currently show video overtaking the marketing industry sometime in the very near future. Facebook includes options that make creating moving images and videos for your advertising campaigns much easier. You can create video ads without overrunning your budget. All in all, Facebook advertising provides plenty of benefits for car dealers looking to get more out of digital advertising. Consider including Facebook campaigns in your next marketing plan.